Mr. Bridgewater founded Interlink in 1994, where he has advised on over $500 million of private equity investments in industries ranging from building materials, renewable energy, and automotive component manufacturing to electronics and software technologies in the U.S. and Asia. He has also served as a managing director for a publicly traded mezzanine fund investing in small and medium-sized middle market companies. In addition to Interlink, he has co-founded five companies, including environmental services, biotechnology and multimedia/software technology firms. 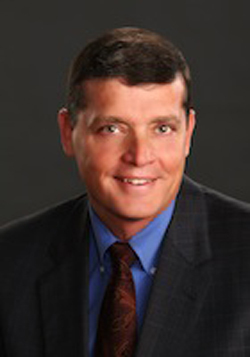 Mr. Bridgewater has served on various company and community boards. In addition, Mr. Bridgewater recently served on ExIm Bank and U.S. Department of Commerce advisory boards and previously worked at ExIm Bank as a loan officer in Latin America. He is active in elective politics and ran for the U.S. Senate in Utah. Recently he acted as Education Deputy for the state of Utah. He received a B.S. in Finance from Brigham Young University and completed graduate studies in international economics from the University of Utah.